how does this mcm bag i received look. the zipper pull has the monogram (i don't have any pics of the pull right now though). any help is appreciated. I have many MCM items. It looks real to me. The hardware is the same as my tote bag. Hope that helps. This is my 1st time on this site and could desperately use some help. 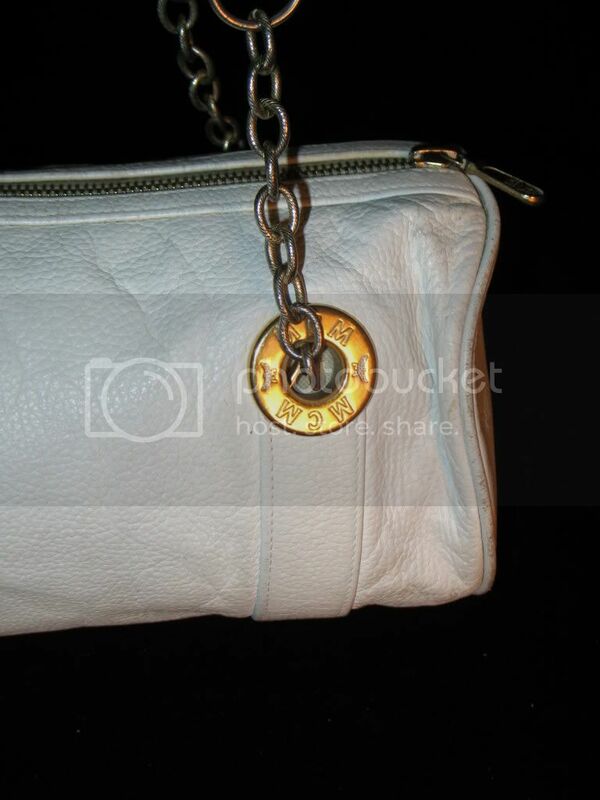 I have a large MCM bag/tote which has the gold stamped logo on front with the serial #. Also has monogrammed lining and pull tab. It has a leather tag sewn on inside pocket which is also stamped but the weird thing is 3 out of the 4 of the gold rivets that hold the handles on are stamped LOUIS VUITTON. Is this an authentic MCM? I know NOTHING about purses. Any info/opinions would be appreciated. I don't know! Sounds like of fishy to me. I recently found an MCM clutch and during my limited research about the company have found it has been sold a few times but not to the group that owns LV. 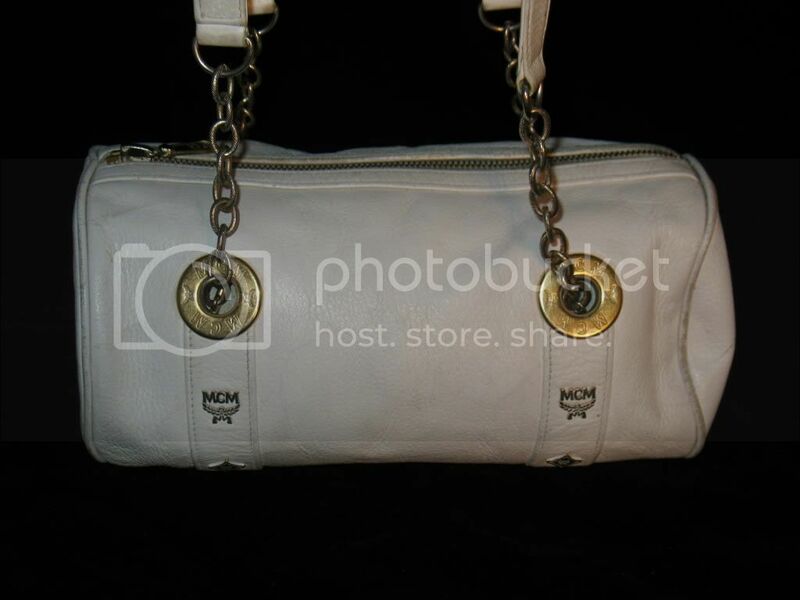 Here is a link to a discussion on the ebay purse board about MCM. One poster had a couple of good tips. You shouldn't be finding Louis Vuitton parts on an MCM bag. Either two things happened here: (1) the bag is fake and the counterfeiters were so negligent they used the wrong parts with the wrong bag or (2) the bag is real, but someone used old Vuitton rivets to replace the MCM rivets that might have been lost. Maybe but can rivets but reused? I liked learning about the 8 leaflet/9 leaflet thing. I have an MCM, purse do not know if it is authentic. Could I tell by the serial number? The bag looks nice, the serial number is 7988A and is Dr. Speedy type. Any help? If the rivets are original on the bag and not replacements (which seems most likely), it's fake. MCM has no relationship with Louis Vuitton, never did. There's no possibility that a real MCM bag would have that kind of hardware. 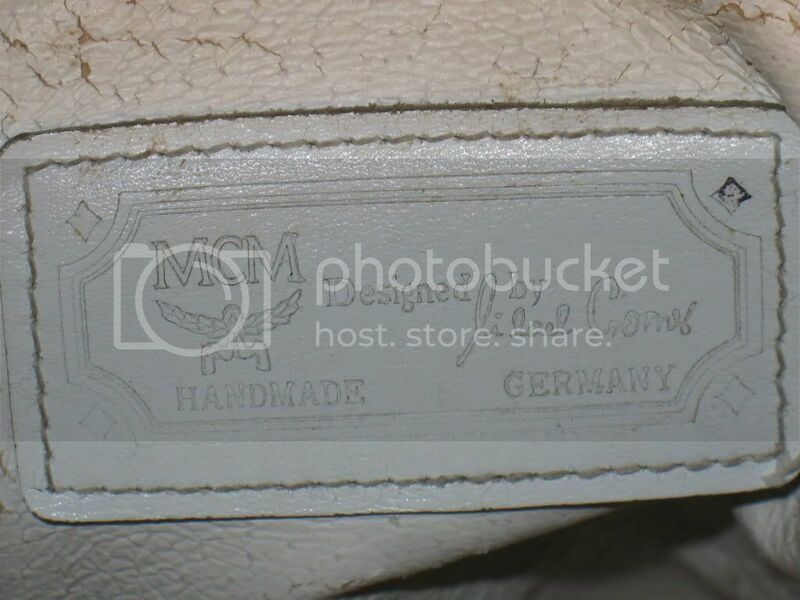 MCM was founded by "M"ichael "C"romer from "M"unchen / Germany ( Munich) in the 70s. He created his own design and sold his famous products of "Modern Creations of Leather-goods". The quality of his products is legendary. His style became famous all over the world and the goods were sold in his own stores as well as in large department- stores worldwide. A classic MCM-item doesn't catch the eye with a beautiful appearance only , but will combine style and functionality to perfection. Such a perfect combination is found where superior materials and experienced craftsmanship meet . All MCM - products are manufactured using high quality materials by master craftsmen. 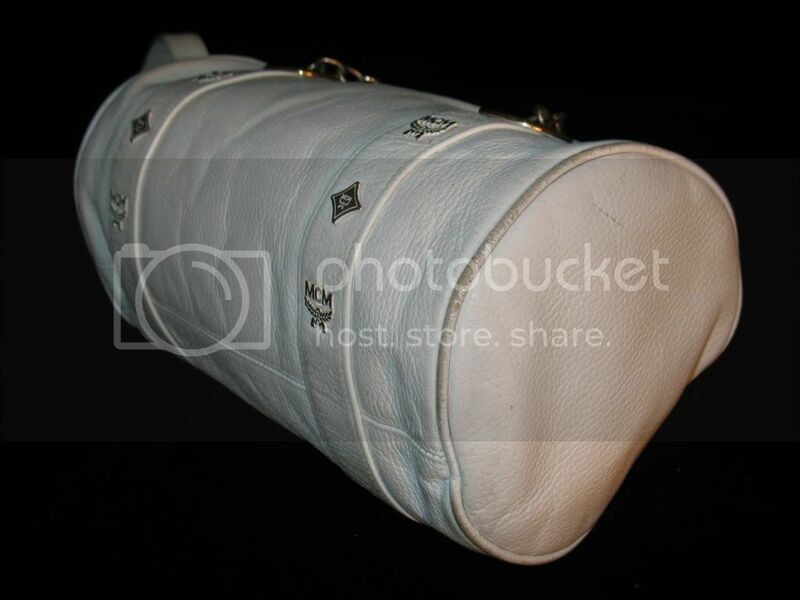 Michael Jackson, Lady Diana and Catherine Deneuve bought MCM-products. Michael Cromer lost his MCM-firm in 1998 . Most of the MCM-stores all over the world were closed. A Swiss company bought MCM and they started all over again. New MCM-shops were opened, and a lot of new and old designs were available. Princess Bea von Auersberg was one of their new designers. In May 2005 Michael Michalski , the famous designer of ADIDAS started to be the creative director of MCM, too . He started to create a new MCM style , but a lot of the older series are available till today. Stars like Eva Padberg, Lizzy Jagger, Margherita Missoni, Stella Mc Cartney are wearing MCM clothes and use the MCM products as well as thousands of people in the world. Sung-Joo Kim from South Korea is now the owner of MCM. She lives in London and in Seoul/South Korea. Sung-Joo Kim wants to bring the name MCM back to the top designer's list in the world. Some new MCM-shops were opened all over the world like in London, Seoul, Peking and New York. Michael Cromer died on the 4 th September 2007. A lot of items show MCM-symbols , but these items are not always authentic . A lot of people pay good money for bad FAKES ! So it is helpful to know some examples about FAKES ! A lot of fakes are made out of bad cheap materials , you will find genuine leather very seldom. An authentic MCM-strap is a combination of the MCM  logomaterial and genuine leather or the strap of smaller shoulder bags is made out of genuine leather and nothing more. The leather is of high quality. Only the grips of some shoppers are not combined with genuine leather ( for example the shopper, the so called bath shopper and shopper- bag Sylvia ). Grips of bags are always made out of genuine leather ! The original plaques of MCM show one letter and 4 numbers , the letter will be at the first or at the last position. You can change the plaques, new plaques are sold in the MCM-stores. But the most fakes have wrong screws. Very often you can identify a fake, for it has cross-screws , authentic MCM never have screws like this. The plaques have golden or silver color, the whole hardware is full of MCM-symbols. All bags , which have a square piece of leather under the plaque , are FAKES !! Only on the authentic MCM-garment bags and some MCM-matchsacs in cognac color or in white&blue you will find these square pieces sometimes. Please have a look on the MCM-symbols. On the right side you will see 8 leaves on the left side nine leaves  a typical sign of authenticity. 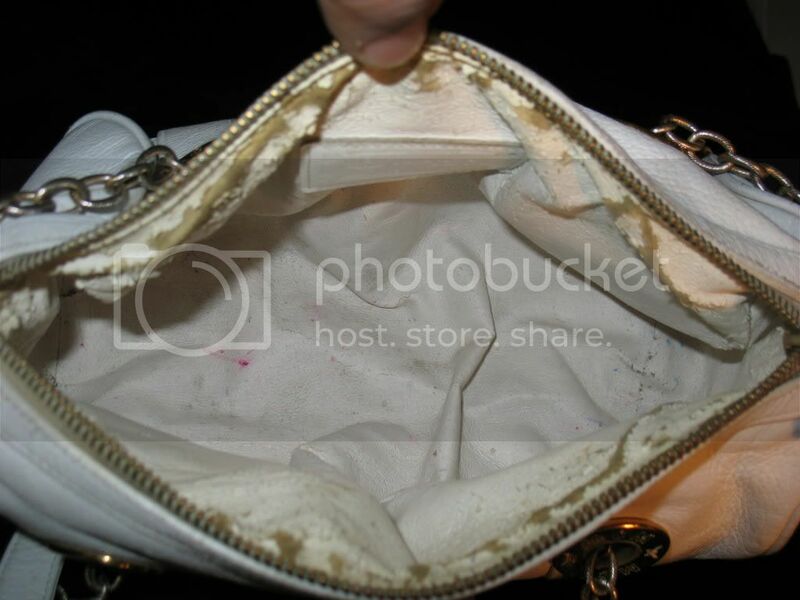 An authentic purse never shows its plaque at the right corner at the bottom of the front side. 80 % of all bags have the plaque in the middle of the front side. Some bags dont have a plaque  like the SUZY WONG for example or some genuine leather bags have the plaque on the left smaller side. Smaller accessoires usually dont have a plaque very often. It's an obvious fake. MCM never have any relationship with Louis Vuitton and vice versa. Anybody know anything about these bags? I found one and with the important exception of the unstamped strap hardware this looks fine to me. The zipper is TKK but not easy to photograph. Base measures about 17" by 4.25" and stands about 13" tall. Leather straps are narrower in middle and have a 11"-12" drop. Zippered top is boxed and inset like a Kate Spade shopper if you are familiar with that bag. Thanks! Good news, I appreciate it.